This was one of the very few photos that I ever took of Iggy. We shared many mutual friends, but we did not know each other personally. This photo was taken in front of The Roxy. 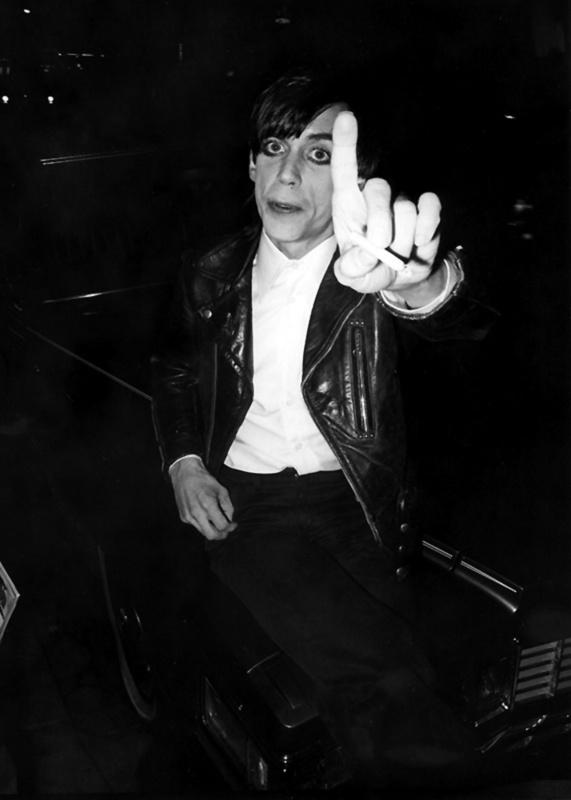 Iggy was sitting on Rodney's Cadillac and as you can see, Iggy was not amused. At the end of the day, his resistance to being photographed gave me a very interesting photograph.